In a sea of change, does it not make sense that mathematicians would want to be able to measure and calculate rates of change? If change is constant, the calculations are easy. Mathematicians call these rates and they are dealt with as simple fractions. If the rate of change also keeps changing, however, we meet with difficulty. It took mathematicians many years before they worked out suitable terminology and methods and understanding to deal with these matters. Sir Isaac Newton (1642-1726/7) in England and Gottfried Wilhelm Leibniz (1646-1716) in Germany appear to have independently worked out how to think of rates in terms of limits. Although Newton probably made his discovery first, we mostly use Leibniz’ terminology and notation today. 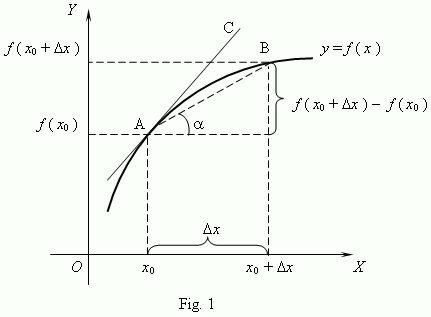 Derivatives are calculations of rates made from an original function. For example, if p(t) is the population of some group as a function of time, then dp/dt is called the derivative of (the function) p with respect to time, and is a measure of the rate at which the population is changing with time. You will also learn about the Fundamental Theorem of Calculus. This theorem has two parts that link derivatives and antiderivatives/integrals. The first part of the theorem shows that integration of a function (to find the area under a curve) is related to the function’s antiderivative, and that the process can be reversed by differentiation. This guarantees the existence of antiderivatives for continuous functions. The second part of the theorem states that the definite integral of a function can be calculated by using any one of its infinitely-many antiderivatives. And this greatly simplifies the computation of definite integrals. The proof of this wonderful theorem represented a major breakthrough in the development of calculus. Even the ancient Greeks had calculated areas using infinitesimals (Archimedes, c.287-c.212 BC, had some stunning successes with the method) and, for some centuries, mathematicians had been studying continuous motion (with the study of planetary orbits, for example), but it was not until this theorem was proved that mathematicians realised that the two methods were related! Integration, therefore, is the inverse operation to differentiation … and is sometimes called antidifferentiation.